There are almost as many forms of postgraduate study as there are people studying them: research and applied; master’s and doctoral level; full-time and part-time; fully funded, partially funded and self-funded. What are the common issues for people considering any of these routes? Many careers – in clinical, educational and occupational psychology, for instance – require completion of an approved postgraduate course. It is important to check whether the course you are applying for is accredited by the Society before applying. You must decide whether you want (or need!) to apply for a master’s or doctoral level qualification. A master’s course is typically a one- or two- year taught course, whereas doctoral qualifications usually require an independent programme of research for at least three years. This choice is often determined by what you want to do with your postgraduate training: for instance, you can become a chartered occupational psychologist by completing a master’s course, whereas you need to complete a doctoral level qualification to become a clinical psychologist. Alternatively, you may simply want to get extra training to broaden your knowledge base – some master’s courses are invaluable for acquiring the research skills needed to complete a doctoral course. Some universities offer a master’s in research degree. Completing a master’s course may also give you an indication of whether or not this is the right area for you before committing yourself to a three-year doctorate. Postgraduate study does not generally involve applying through a single organisation like UCAS. Instead, it usually involves applying directly to the institution where you want to study. There’s no single deadline, so make sure you check at each institution to get your application in on time. The key message is, it’s never too early to start thinking about the issues! How you apply differs depending on the course you want to apply for. Clinical and educational psychology courses, for example, involve applying through a central body that distributes your application to the universities you want to apply to. Research courses, on the other hand, typically involve applying directly to each institution, and each university will have their own application form. Contact each university directly to find out more details about their application procedures and deadlines. Which institution is for me? Do the academic staff have good knowledge of your subject area? Get in touch with the staff members you would like to supervise your research to see if they are willing to take you on and to discuss your ideas before applying for the course. What facilities are on offer to postgraduate students: shared or personal computers; printing and photocopying facilities; funding for conference attendance? 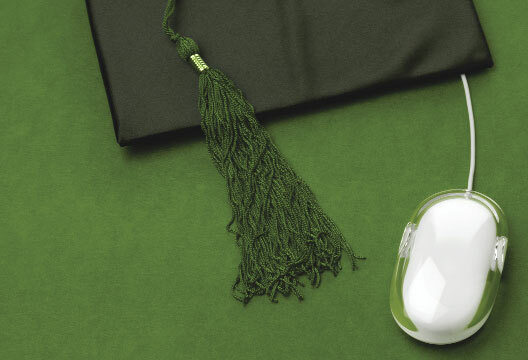 What training courses are on offer to postgraduate students? Grant writing and conference presentations, for example, are increasingly important. Are teaching opportunities available to postgraduates? Teaching work looks great on your CV and can provide you with some extra cash too! What funding opportunities are available? Do you get your fees paid? Do you receive a maintenance grant? Do you get money towards research expenses or conference attendance? Unfortunately, student loans don’t cover postgraduate study, so you must look elsewhere for funding. Some applied courses – clinical and educational, for instance – are government-funded and you receive a fixed wage for being on the course. Research master’s and doctoral courses, on the other hand, can be funded through a number of different sources, such as research councils (ESRC, MRC, BBSRC, Wellcome Trust) and departmental studentships. Industry-funded studentships are also increasingly common. Note that the deadlines for these funding sources can be very early (some are over a year before the course start date! ), so it’s important not to leave it too late.